Reports said that Scalise was shot in the hip in injuries that did not appear to be life-threatening. The suspected lone gunman was reportedly shot by police and transferred to the hospital. 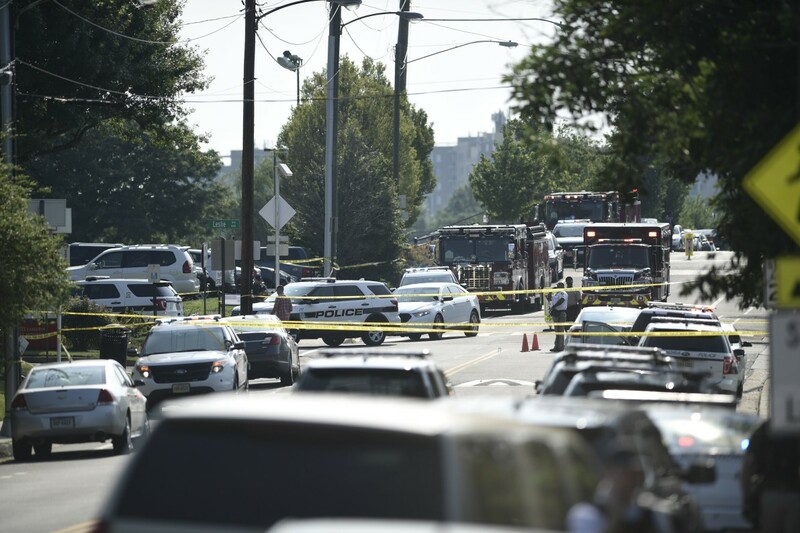 Alexandria Police Chief Michael Brown said that police arrived to the scene in three minutes and that “at this point, there is no additional threat.” He added that they would not identify the victims of the attack before they were able to interview all witnesses to the event. About 50 shots were fired around 7:30 am at the baseball field near the Y.M.C.A. where members of a congressional team regularly practice, a congressional official said. “It looks like only one shooter, so you’ve gotta assume he knew what he was doing,” Republican Senator Jeff Flake told reporters at the scene, who added that two members of Scalise’s security detail were among those shot. “I can tell you with absolute certainty nobody would have survived without the Capital Police. It would have been a massacre without them,” Republican Senator Rand Paul, who was also at the baseball practice, told CNN. “I don’t know if [the suspect] was killed, but I tell you I don’t have any kind thoughts about the shooter so let’s leave it at that,” said Brooks. A fire that tore through a housing project in west London has killed at least six people, injured dozens, and many more are missing, according to the London Fire Brigade. Ambulance services said 74 people were being treated in six hospitals after the blaze engulfed the 27-story building in north Kensington, an area once known for its slum housing but which has in recent years undergone gentrification. The fire broke out just after 1:00 am local time when most residents were asleep. 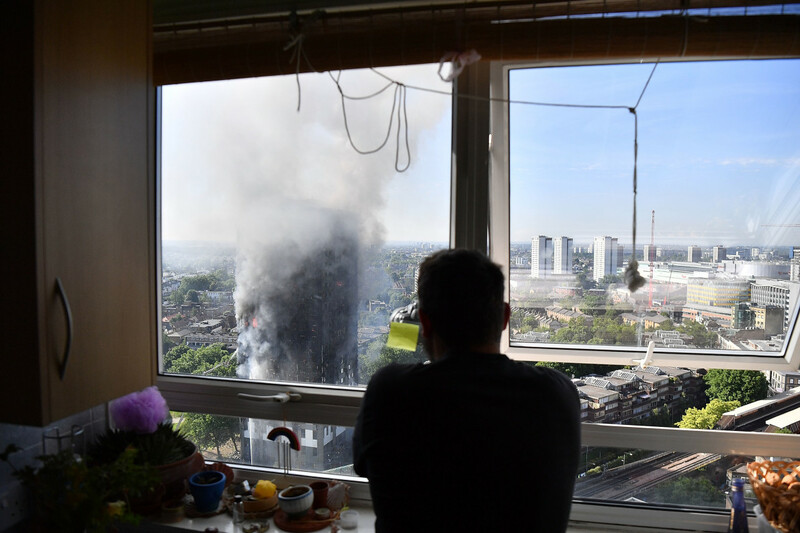 Smoke rises from the building after a huge fire engulfed the 24 story Grenfell Tower in Latimer Road, West London in the early hours of this morning on June 14, 2017 in London, England. The Mayor of London, Sadiq Khan, has declared the fire a major incident as more than 200 firefighters are still tackling the blaze while at least 50 people are receiving hospital treatment. On early Wednesday morning authorities said they believed residents to still be trapped inside. A number of those inside said they’d been advised to stay in their apartments in the event of a fire and that their units were fire-proof for at least an hour. Witnesses said they saw a woman hold her baby out a window as fire and smoke surrounded her. At least one person was reported to have fallen into the flames. The block’s residents association had previously warned it was worried about the risk of a serious fire. “ALL OUR WARNINGS FELL ON DEAF EARS and we predicted that a catastrophe like this was inevitable and just a matter of time,” the group said in a blog post on Wednesday, in which it linked to recent posts that flagged the authorities about the building’s infrastructural risks. Authorities said they would set up an investigation to determine the cause of the fire. London mayor Sadiq Khan told BBC Radio that there were questions that would need to be answered after the fire. “Across London we have many, many tower blocks and what we can’t have is a situation where people’s safety is put at risk because of bad advice being given or if it is the case, as has been alleged, of tower blocks not being properly serviced or maintained,” he said. “Putin jokes with NBC reporter, saying she ‘could be arrested’ in U.S. for contacts with him,” read a recent headline in Tass news agency, referring to the two separate interviews Putin recently gave to NBC News correspondent Megyn Kelly. Russia’s state-owned media and even many independent newspapers are basking in the idea that Americans are devoting their time to thinking about Putin, and lauding the leader for his thinly-veiled insults about what his interviewers don’t understand. Putin is also taking the opportunity to boost his anti-liberal strongman persona with jabs at women and the gay population which are meant to reach his home base as well as his fans among alt-right audiences in the U.S. and Europe, said Cohen. Putin first started granting interviews in May, just after U.S. President Donald Trump fired FBI chief James Comey and as the FBI ramped up its investigation into the U.S. president’s potential collusion with the Russians during the 2016 campaign. The first media appearance came in what was meant to look like a spontaneous coincidence. Just as Putin left a locker room dressed in full hockey gear, he ran into both his press secretary Dmitry Peskov and CBS News correspondent Elizabeth Palmer. When asked how the Comey dismissal might affect U.S.-Russian relations Putin told Palmer, “Don’t be angry with me. We have nothing to do with that.” He then said: “You see I am going to play hockey with the hockey players? And I invite you to do the same,” before scoring six goals in a game that his team won 17-6. 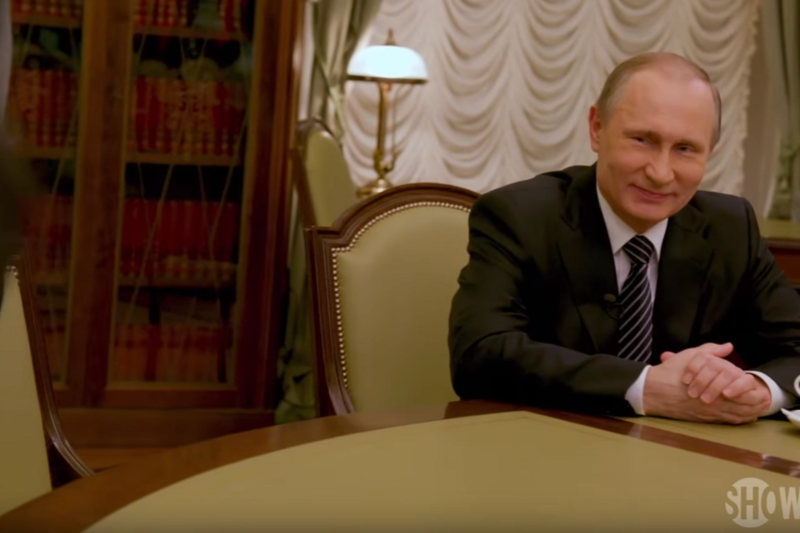 But of all the press appearances, the Showtime documentary series hosted by Oliver Stone titled “The Putin Interviews,” has been the most dramatic. Excoriated by American press for being little more than a love letter to Putin rather than a piece of hard-hitting journalism, it gives the Russian leader a platform to spout conspiracy theories — such as claims of having evidence that Americans directly supported Chechen terrorists against Russia waged two brutal wars — with minimal or zero pushback. Gustav Gressel, a senior research fellow at the European Council on Foreign Relations, said that especially Stone’s project has been a godsend for Putin, who has consistently sought a mouthpiece (all the better an American “insider journalist”) through which to convey the Russian party line: “Russia is a great power; don’t mess with Russia, or we will retaliate,” said Gressel. 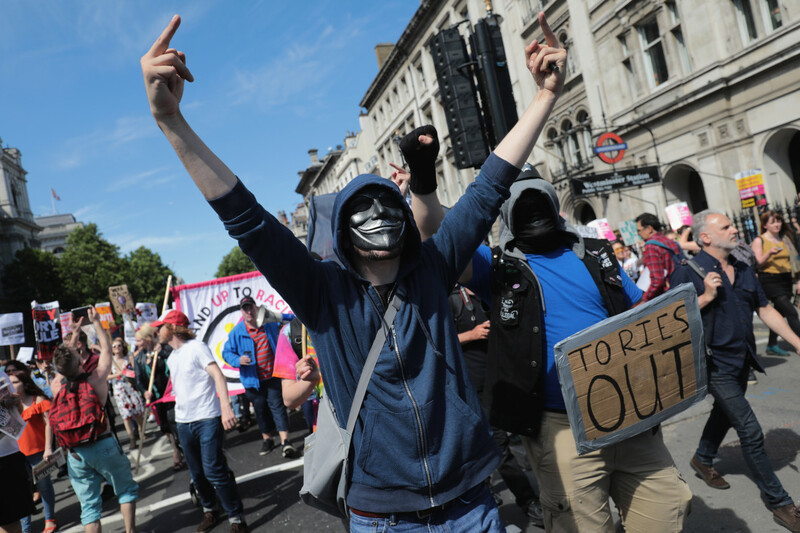 “Putin has for years tried to tell the West, I’m not the shady kind of dictator you think you are portraying me as, while, at the same time, asserting that dissidents critical of the regime are trolls of the CIA,” said Gressel. Screenshot of the government-owned RT news outlet article, headlined, \"A President Whom The Russians Love,\" shows Russian President Vladimir Putin speaking with journalist Megyn Kelly during an interview on the sidelines of the St. Petersburg International Economic Forum, June 3, 2017. Putin’s rule, spanning 17 years, in many ways rests on the U.S.-Russia rivalry. Surprisingly, though, “the surge of nationalism and the political capital that he amassed has pretty much held there since,” said Arutunyan. According to recent polls by the Levada Center, Putin’s popularity is above 80 percent despite a crumbling economy, ongoing diplomatic isolation, and the military quagmire Russians have found themselves in Syria. Like the myriad domestic and international crises Russia faces, it made no mention of criticism regarding Putin’s recent interviews. In the press and for Putin, they have been almost irrelevant to the more central story, which is that the rest of the world is reeling in dysfunction, but Russia remains united. 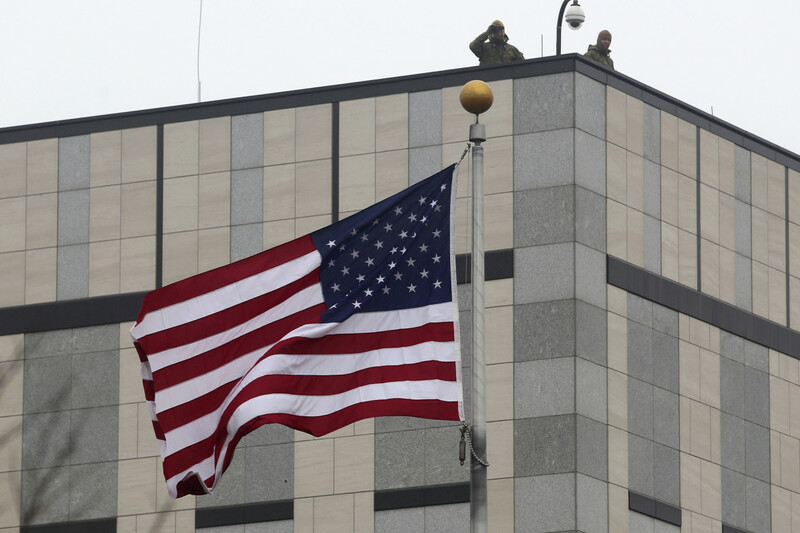 Kiev police said that an unidentified assailant threw an explosive device into the U.S. embassy compound in the Ukrainian capital in an incident being investigated as an act of terror. Police said the explosion went off just after midnight, local time. As of Wednesday morning, authorities were still searching for the perpetrator. The embassy confirmed the incident involved a “small incendiary device,” but apparently contradicted police in saying that it does not consider the episode a terrorist act. A brutal war between Russia and Ukraine that has killed over 10,000 people has been ongoing since 2014, when Russia’s military intervened after the ouster of the pro-Russian President Viktor Yanukovich. 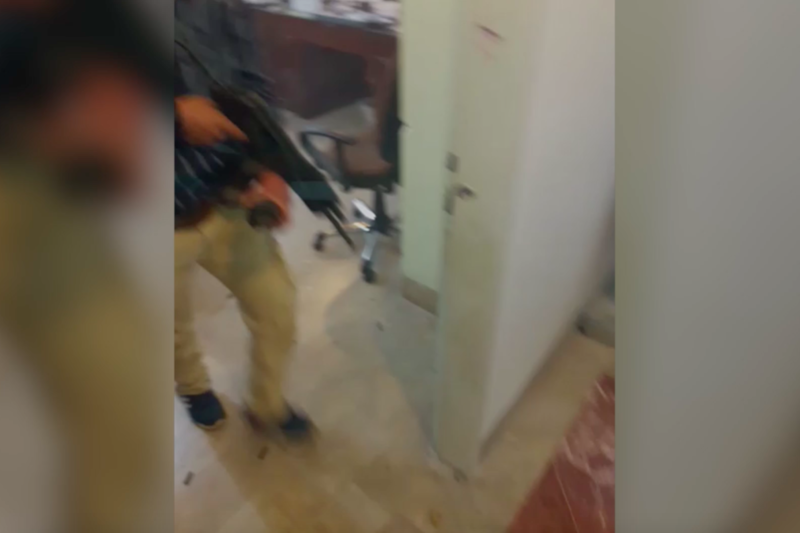 ISIS’ official news outlet Amaq posted a video featuring two apparent terrorists, one toting a gun, from inside the Wednesday morning attack on the Iranian Parliament in central Tehran, for which the group claimed responsibility. The terrorist group also claimed a simultaneous suicide bombing carried out at a religious shrine for Ayatollah Ruhollah Khomeini, the founder of the Islamic Republic, outside of the capital. At least 17 people were killed and more than 40 wounded in the twin attacks, according to Iranian emergency medical services. Iran’s revolutionary guards said Saudi Arabia — which Iran has accused of financially, ideologically and logistically supporting ISIS — was behind the two attacks, according to an official statement. The group said that the footage was filmed by one of its fighters from inside of the Parliament, where sirens were heard blaring and there was at least one casualty lying on the floor, covered in blood. “ISIS will stay here until doomsday,” repeated another man in the video.